At this location on 4 May 1945, the last courier of the resistance, Annick van Hardeveld, was murdered by the German occupier. She was 21 years old. This sign is a tribute to all who fought against injustice and oppression. On this spot in 1934, dishwasher Ramon Bolasquez smashed the windows of the Waldorf-Astoria during a strike by culinary union workers. On this spot in March 1972, fifteen dishwashers fought for workers’ rights by staging a successful wildcat strike. And I, for one, thank them. De Fietsrepubliek is a tribute to the Amsterdam cyclist. From the ‘possessed riding style’ of the bicycle boys who made deliveries for shops and laundrettes in the 1930s, to the organisations that fought for our right to cycle through the passage under the Rijksmuseum. Jordan writes about the anarchist reputation of cyclists and how the authorities time and again tried to discipline them; about the cycling monarchs Wilhelmina and Juliana; the antibicycle measures of the German occupiers; the fight for a bicycle-friendly city and the history of bicycle theft. Perhaps these subjects aren’t new, but Jordan adds surprising details and new insights. For example, I had no idea that Queen Wilhelmina – when still just underage – appealed to the Council of State because her mother Emma wouldn’t let her ride a bicycle. Or that it was customary between the end of the 1950s and the mid-1970s in confrontations between youths and the police to unscrew the housings off bicycle bells and throw them at the police (tip: don’t skip the footnotes in the book). 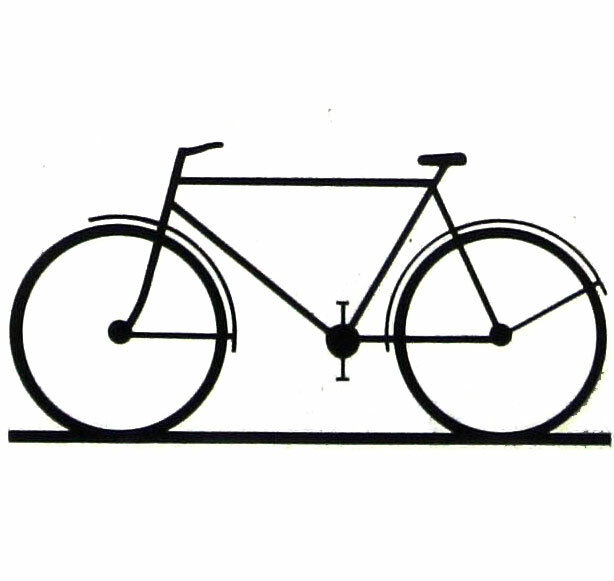 One of the subjects Jordan has sunk his teeth into is the white bicycle plan launched in 1965. Provos wanted to make thousands of bicycles available for anyone to use for free. When the first white bicycles had been confiscated by the police, provos left flowers and painted a bicycle white at the statue of anarchist Ferdinand Domela Nieuwenhuis, near the Westerpark. There have been at most a few dozen white bicycles in Amsterdam, but in the international media the project grew to mythical proportions. According to some, the white bicycle plan had been a fantastic failure; others claimed it had been a great success. The success stories were used to legitimize imitations: yellow bicycles in Portland, Oregon; purple bicycles in Spokane, Washington; red bicycles in Madison, Wisconsin; blue bicycles in Victoria, British Columbia; green bicycles in Tampa, Florida and pink bicycles in Olympia, Washington. De Fietsrepubliek is full of such stories. Anyone even slightly interested in cycling or Amsterdam should read this book. The original English version of De Fietsrepubliek, In the City of Bikes, will be published later this month.